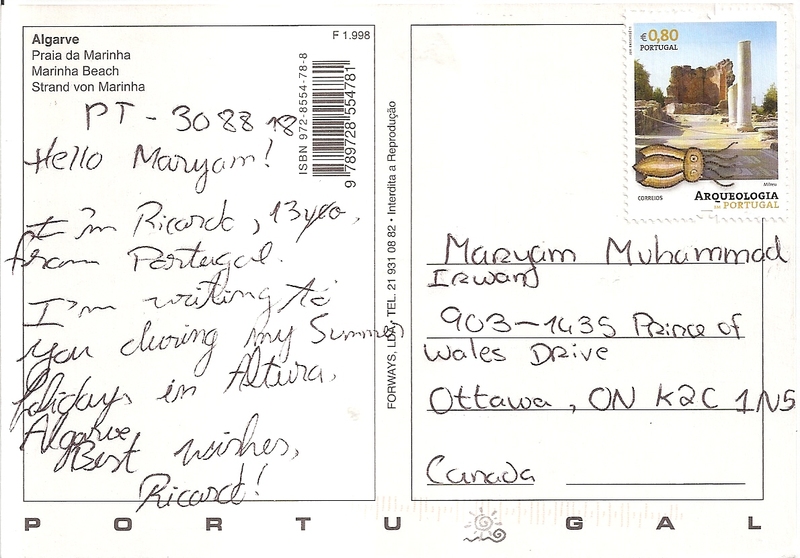 A postcard from Portugal, received through official postcrossing from Ricardo. 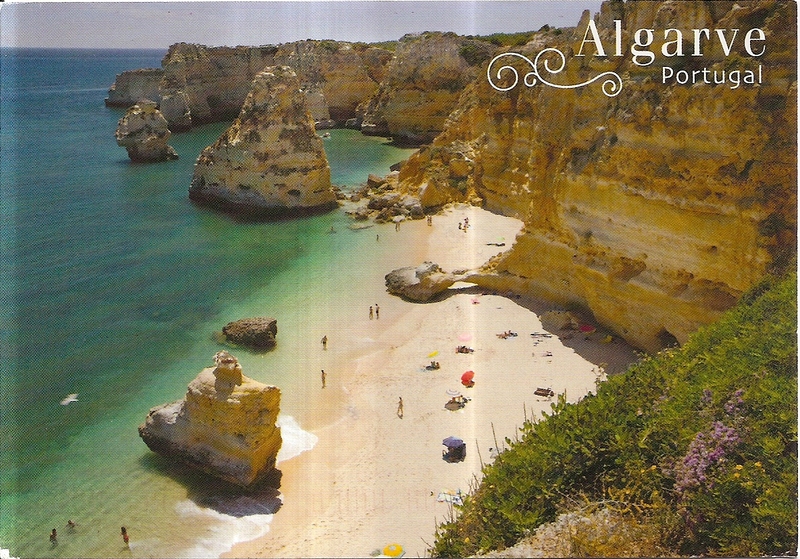 The postcard shows the beautiful Praia da Marinha in Algarve, Portugal. It is considered as one of the most beautiful beaches in the world. At the back, Ricardo affixed one archeology stamp. No postmark applied. Thanks a lot Ricardo!